Conflicts of interest within Africa’s fisheries sector enable unsustainable exploitation by foreign fishing firms and undercut the political will needed to build more robust surveillance and prosecutorial capacity. The illegal exploitation of African fisheries by foreign fishing companies deprives African governments of a highly valuable source of revenue and contributes to Africa being the only region in the world where rates of fish consumption are declining. African countries must substantially upgrade their capacity to monitor and prosecute illegal fishing in African waters. Weak accountability of the African fisheries sector enables the ongoing and unsustainable exploitation of this resource. Collusive relationships with foreign fishing companies often serve the financial interests of government officials responsible for overseeing the fisheries sector. Leading fishing nations must step up regulation of unethical practices by their fishing vessels in order to support fair trading practices and avoid the imminent collapse of African fish stocks. Thousands of foreign fishing vessels ply African waters every year seeking to tap the continent’s rich fish stocks. Many of these vessels are believed to be exploiting Africa’s fisheries illegally. Offenses include fishing without a license, fishing in protected areas, using banned fishing gear that is destructive to the fisheries sector, catching beyond limits, or catching protected species. Even licensed vessels regularly do not report catches as required. Those that do often underreport their actual intake. A Greenpeace investigation found that Chinese fishing vessels operating in West Africa misreport the size of their vessels by as much as 60 percent. This practice enables fishing companies to dramatically increase their catches while fishing in areas reserved for smaller vessels. In Guinea-Bissau, foreign fishing vessels are known to collude with small-scale African fishers to access waters reserved for artisanal fishing. The small-scale fishers catch and then simply unload the fish onto the main “mothership” without the larger, foreign-owned vessel ever requiring a fishing license. These problems are compounded by inadequate monitoring and surveillance efforts of the fishing sector by African governments as well as complicity between foreign fishing companies and the African ministries responsible for regulating fishing. At times, African political leaders have direct financial interests in joint ventures with foreign fishing companies. Fishing agreements are frequently opaque keeping basic information from public view, such as who is allowed to fish, how much they pay, and what they catch. Given the scope of the offenses, the range of actors involved, and the difficulties of detection, estimates of the scale of illegal fishing in Africa are notoriously unreliable. What is clear is that overfishing is depleting African fish stocks. Official reports show that some 8 million tons of fish are harvested in continental waters annually—a tenfold increase from the 1960s. For many countries, this intensification of fishing has been unsustainable, as evidenced by historical catch records showing dramatic peaks in production (often in the 1980s and 1990s), followed by stagnation and then decline—a drop that cannot be attributed to conservation efforts. This expansion of foreign fishing in African waters has simultaneously caused declining availability of fish in local markets. This is a result of trade dynamics that have shifted toward high levels of exports from African fisheries and a greater reliance on imports—eliminating a crucial food security safety net. Africa is the only continent in the world where per capita fish consumption is declining. This is extremely worrying given the importance of fish for the health of millions of Africans who rely on fish as a source of protein. Meanwhile, revenues from commercial fishing received by African governments is widely considered far too low given the volume of fishing taking place. On its current trajectory, the trend of declining catches threatens to diminish income from what ought to be a renewable natural resource. The African Union (AU) has estimated that under sustainable management the fishing sector could generate an additional $2 billion annually for African economies. Criminality in Africa’s fishing industry also increasingly appears to be the outcome of a structural crisis. Substantial overcapacity within the highly subsidized fleets of foreign fishing vessels, combined with dwindling catches in their national waters and a growing global demand for fish, is compelling these foreign companies to ply distant African waters to sustain supply. So long as these global factors persist, the pressure for illegal exploitation of African fisheries will continue. Although illegal fishing is not a unique problem in Africa, African countries are particularly vulnerable due to their under-enforcement of the law, limited capacity in fisheries management, inadequate awareness of the costs of the exploitation, and political corruption implicating both African governments and foreign fishing partners, all of which inhibit aggressive action. Fishing in Africa can be divided, somewhat simplistically, into the large-scale sector and the small-scale sector. The small-scale sector, characterized by artisanal fishing methods, is largely undertaken by Africans to supply local markets, although some fish caught by local small-scale fishers is traded regionally, such as the dried or smoked fish from Senegal that is sold throughout West and Central Africa. Small-scale fisheries support large numbers of Africans involved in fish processing and trade. There are an estimated 12 million people employed in fisheries either on a full-time basis or on a part-time, seasonal basis. While men tend to do the majority of fishing, women can make up the majority of those working in the post-harvest sector, which makes the fishing industry so important for the food security of many women and their children. Together, the industry represents an important and flexible source of employment and income for vulnerable, low-income Africans. At least 200 million Africans eat fish regularly, although per capita fish consumption is highly uneven in Africa. In general, Africans eat less fish than people in North America, Europe, or Asia. Nevertheless, being high in both protein and macronutrients, even a small amount of fish can have significant health benefits. Because of this, in many African countries wild-caught fish is considered “irreplaceable.” There is no other affordable food source that can be used as a substitute. Unfortunately, per capita fish consumption in many African countries is in decline. It is the only continent where this trend is happening. Meanwhile, rates of chronic malnutrition across the continent remain persistently high. Historically, dried or smoked sea fish, such as sardines and mackerel, has been a staple food for millions of Africans, particularly in rural areas. 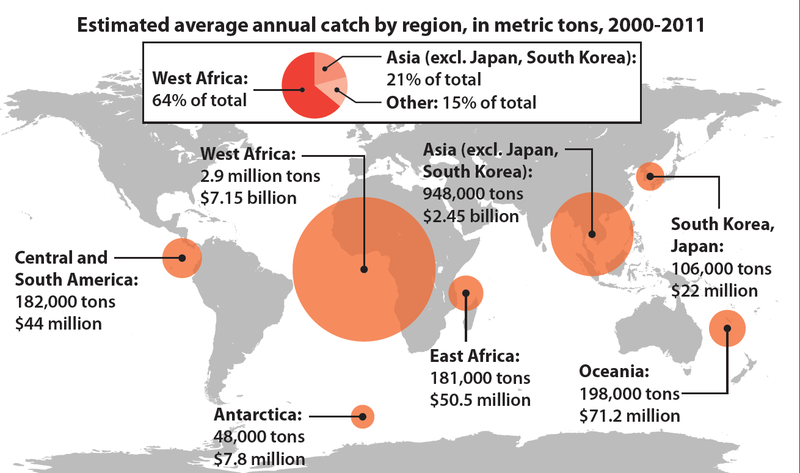 In the early 2000s, approximately 1.7 million tons were caught off West Africa, accounting for the bulk fish consumption that was estimated at just over 10 kg per person in 2012. Yet there has been a steady decline in catches since then, caused by both overfishing and climate change. Meanwhile, foreign commercial companies that used to sell to African markets, such as Nigeria, are increasingly exporting to China. This is contributing to a decline in per capita fish consumption in Africa. Given estimates of population growth on the continent, sustaining an annual average of 10 kg of fish per capita is unlikely. In fact, research predicting rates of fish consumption in Africa find that, by 2025, there will probably be a shortfall of well over a million tons of fish if the aim is to sustain fish consumption at the 2012 level.1 Fish prices will also increase as a result, meaning the poorest populations will suffer the most. Alongside this small-scale sector, the large-scale sector targets a range of species predominantly for export. Despite efforts by development agencies beginning in the 1960s to establish African-owned industrial fisheries, today almost all of the large-scale industrial sector comprises vessels owned by companies from the European Union (EU), Russia, Eastern Europe, or Asia, with China, South Korea, and Japan being the most significant. Most of these vessels operate under short-term licenses (typically on an annual basis). Some operate on a charter basis. Licenses are sometimes linked to fisheries access agreements, established by the governments of foreign fishing nations or fishing company associations with African governments. The EU, for example, has what it calls “Sustainable Fisheries Partnership Agreements” with 12 African countries, and it is negotiating more. These agreements set the price, terms, and conditions of fishing, and are often joined by additional commitments for funding fisheries development or research. Outside of these agreements, a significant number of foreign-owned vessels have reflagged to local countries, or have established joint venture companies with local fishing rights holders. This is significant since under international fisheries laws, the flag state bears the legal responsibility of its fishing fleets abroad. When vessels reflag, so does this responsibility. The growth of fishing in Africa by these distant-water fishing fleets is partly explained by stagnating and dwindling catches in their national waters or traditional fishing grounds. Foreign fishing companies have subsequently expanded their operations to Africa to sustain supply. This is made possible through considerable subsidies. The world’s fishing industry receives an estimated $20 billion a year in capacity-enhancing subsidies. A significant part of this allows vessels from Asia and Europe to operate in developing countries.2 In Africa, the EU pays up to 50 percent of the costs of EU access agreements on behalf of its fishing fleet. In 2013, the Chinese government provided approximately $6.5 billion in subsidies for its fishing sector, 94 percent of this in the form of cheaper diesel.3 It is unlikely that foreign fishing would persist at its current intensity in Africa if subsidies were phased out. A sizable part of this industrial sector is engaged in fishing for high-value migratory species such as tuna, billfish, and sharks. This fleet is made up of two main components: vessels that catch fish from baited hooks stretching for several miles (longliners) and larger boats that catch schools of fish via purse seine nets (seiners), with the fish usually located by floating platforms left at sea to encourage various marine life, including tuna, to congregate underneath. Longliners are far more numerous, with more than 2,000 operating in the West Indian Ocean, compared to fewer than 200 of the more expensive seiners in the same area. Longliners, in particular, often transfer their catches at sea and fish relentlessly for many months, or longer, before returning to port. A sizable number of industrial vessels specialize in landing lucrative demersel (bottom dwelling) species of fish, such as crustaceans, prawns, and octopi. Demersel fish are normally caught through trawling on or close to the seafloor, often close to coastal areas crowded with small-scale fishers. It is unlikely that foreign fishing would persist at its current intensity in Africa if subsidies were phased out. Other significant industrial fishing in African waters targets vast numbers of migratory small pelagics, such as sardines and mackerel, which are either destined for fishmeal production or sold frozen or canned as relatively cheap food-grade fish. This is the key fishery throughout West and Southern Africa supplying fish for local consumption. Small pelagic trawlers comprise some of the largest fishing vessels in the world, being at least 120 meters long and using nets over 600 meters in length and up to 100 meters in diameter. Historically, a substantial proportion of small pelagics caught by European and Russian companies were sold back to African markets. Consequently, this fishery has been both an important source of local fish for people to eat, but also a direct competitor with the small-scale African fishing and fish processing sector. The trend appears to be shifting as a greater proportion of the industrial catch is now being exported directly to China. Since the late 1990s, there has been growing awareness that the industrial fishing sector is highly prone to forms of dishonesty. This has been observed almost everywhere, and not just in developing countries. It is an outcome of a business sector that is increasingly competitive, subject to rising costs (particularly fuel prices), and beholden to a capricious market for its produce (prices paid for fish fluctuate considerably). For many fisheries there is also the added strain of climate change, which can lead to seasonal variations in the abundance of fish, sometimes dramatically. Added to these challenges is the widespread belief that there is a chronic overcapacity in the world’s industrial fishing fleet, which is becoming ever more efficient at finding and catching fish. Illegal fishing in Africa covers a wide range of offenses, from fishing without a license, fishing in protected areas, the use of banned fishing gear, catching beyond limits, to catching protected species. And while licensed vessels are usually under an obligation to report catches to both the coastal state and their flag state, many do not. And those that do report data face few obstacles to being dishonest. There are additional trade-related offenses, such as unloading catches in nondesignated ports or transshipping catches at sea without the authorization to do so. There have been several attempts to estimate the scale of illegal fishing in Africa. However, given the scope of offenses, the range of actors involved, and the difficulties of detection, these estimates are not reliable. The most well-referenced study, undertaken in 2005, suggested that about a quarter of all fishing in Africa was illegal.6 That equates to a market value of roughly $1 billion. More rigorous case-study research is needed to determine this figure with more precision. Needless to say, it is beyond doubt that the economic, social, and environmental costs of illegal fishing in Africa is substantial and extremely worrying. Much attention of international campaigns against illegal fishing has been given to unlicensed fishers, or so-called “pirate fishers.” This is thought to be a problem for many West African countries, where foreign fishing vessels operate in the region without obtaining licenses from all affected countries. It is also something that is associated with the fleet of longliners that drift in and out of a country’s exclusive economic zone (EEZ) and may easily operate without bothering to pay their license fees. The chance of detection is quite low in many areas. The problem of fishing without a license has reached dramatic levels for countries experiencing armed conflicts, where fishing authorities are barely functioning. This happened in Liberia, for example, when dozens of European- and Chinese-owned ships were known to be fishing without permission during the two-decade-long civil conflict that began in the late 1980s. It is also alleged that hundreds of European and Asian vessels have been doing this in Somalia, where an effective centralized licensing system has been absent for many years, but where fishing, including for tuna, can be extremely lucrative. Indeed, fishing vessels operating in Somalia have in the past paid substantial sums to various warlords for protection from piracy. These funds are thought to have contributed to the escalating piracy threat as well as the worsening of the armed conflict. A fishing vessel suspected of illegal fishing is inspected during the Africa Maritime Law Enforcement Partnership. The practice of unlicensed fishing has also led to collusion with small-scale fishers. In Guinea-Bissau, Asian fishing vessels are known to transport dozens of pirogues and fishers from African countries, such as Senegal, to fish on their behalf and unload their catches onto the main “mothership.” This saves the larger foreign-owned vessels from requiring a fishing license. However, unlicensed fishing may not be the primary concern for many developing countries. Buying a license to fish is usually affordable for commercial vessels, and in many fisheries they face few restrictions in obtaining one. Indeed, recent research on industrial fishing in the Pacific Islands region, which has similarities to fishing in Africa, found that despite public concern with unlicensed fishing, it made up only 1 percent of the total estimated offenses, far less than was previously thought.7 The vast majority of fishing vessels were authorized to fish. The same may be true in many parts of Africa. One of the most high-profile cases of illegal fishing in Africa was investigated in the mid-2000s in South Africa. It involved one of the leading South African companies engaged in the fishing and export of rock lobster. At a time when the government was trying to reduce the total allowable catch of lobster, Hout Bay Fishing invested in a new fleet of larger boats, capable of catching far more than was subsequently made available to them. It was later revealed that the company was poaching a substantial number of lobsters and concealing them in containers being shipped to the United States, bribing many South African inspectors in the process. It was estimated that the illegal fishing added an extra 30 percent to the official catches of the entire lobster fishery. The case resulted in one of the largest fines ($22.5 million) for illegal trade in wildlife by U.S. authorities, prosecuted under the Lacey Act. More recently, Greenpeace revealed new insights into illegal fishing by Chinese vessels operating in West Africa, the majority of which are bottom trawlers.8 Here again the primary problem was not unlicensed fishing (although this was documented) but rather substantial fraud in the misreporting of vessel sizes. In some African fisheries, a degree of management control is achieved through restricting the size of authorized vessels as well as prohibiting larger vessels from operating in areas used by artisanal fishers. Chinese companies misreported the size of their vessels by as much as 60 percent, thereby gaining cheaper licenses. This also enabled them to dramatically increase their catches beyond predicted levels as well as fish in areas reserved for smaller vessels. Misreporting of vessel size arguably has the most devastating impact on coastal communities. There are fairly widespread reports, particularly in West Africa, that industrial fishing vessels venture into coastal areas reserved for local artisanal fishers. This not only undermines the availability of fish, but also can cause damage to local vessels and fishing gear. Many forms of crime in the African fisheries sector simply build on the negative tendencies evident in legal fisheries: inequitable sharing of benefits, overfishing, and the diversion of fish from local food processing and markets. In highly regulated fisheries, where the number of vessels is controlled and a limit on allowable catch is in place, illegal fishing by licensed or unlicensed vessels poses a serious threat to sustainable fishing and the profitability of legitimate fishers. Yet African countries place few restrictions, if any, on the number of foreign vessels allowed to access their waters and what they are allowed to catch. Most vessels pay a flat fee loosely related to the value of their catch. In many African countries, industrial fisheries have been allowed to operate in poorly regulated environments. A review of the state of fisheries management in Central and West Africa in 2016 found that less than a quarter of the countries had extensive fisheries management plans—the basic tool for controlling and monitoring fishery performance.9 In-depth scientific research is often lacking for all but the most high-value fisheries. Considerable areas of the fisheries sector are, therefore, left unregulated, leaving the fishing industry highly vulnerable to unsustainable exploitation. In Guinea-Bissau industrial fishing by European, Korean, and Japanese companies began in the late 1950s, later joined by Soviet and Chinese companies. 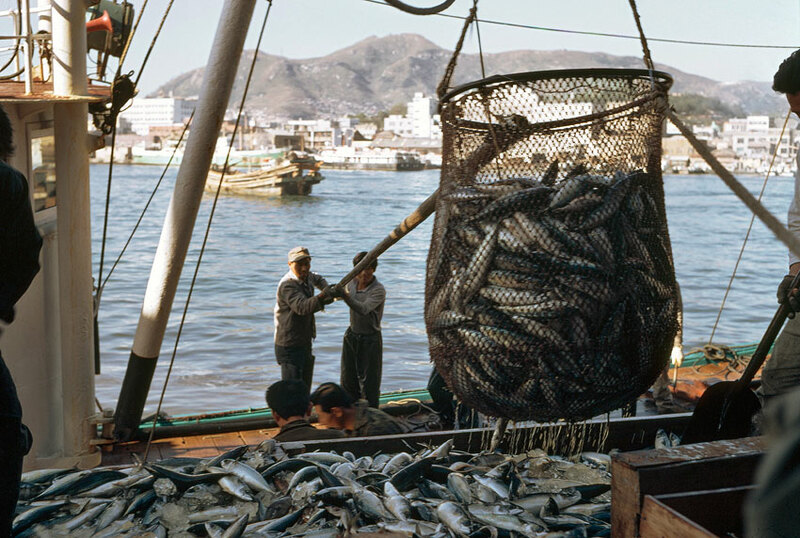 From almost no industrial fishing in 1950, catches reached an estimated 390,000 tons in 1989, when the government issued licenses for as many as 250 large-scale foreign vessels.10 At its peak, fishing provided nearly half of the government’s official revenue, although it still represented a small fraction of the value of the fish being exported. However, with virtually no efforts at control, there was a sharp and seemingly permanent decline in fish stock biomass. By 2010, the number of vessels choosing to operate off Guinea-Bissau had dropped to less than 100, and catches were estimated to be down to 73,000 tons. For decades it has been known that additional fishing has been undertaken in Guinea-Bissau by other foreign vessels licensed in bordering countries. Some estimates put this figure at about 40 vessels. In such cases of lax regulation, it becomes extremely difficult to distinguish between legal and illegal fishers—or to maintain a sustainable fisheries sector. The inadequate regulation of industrial fishing in many African countries is partly caused by capacity constraints. As is evident in some of the best managed fisheries in the world, effective fisheries management requires considerable expertise and resources, which are simply not available in many African countries. However, the challenge of achieving sustainable and equitable fishing is not simply a technical one. The fisheries sector in Africa continues to be vulnerable to misgovernance. At times, this includes forms of rent seeking and corruption—problems that have been left largely absent from the fisheries reform agenda. These problems implicate both African authorities and foreign fishing partners. These shortcomings are most vividly revealed in the dismally low levels of transparency in fisheries access agreements. Few African countries publish a list of licensed fishing vessels. Apart from the EU, fisheries access agreements between African coastal states and foreign countries and fishing companies remain confidential, for reasons that are not well articulated. Several examples demonstrate that the terms and conditions of these opaque access agreements frequently permit unsustainable and destructive fishing and, at times, allow foreign vessels to unfairly compete in local coastal fisheries. For instance, in 2012, Mauritania decided to provide a Chinese company a 25-year fisheries access agreement that allowed at least 80 fishing vessels access to already overfished stocks, including those targeted by local small-scale fishers. The agreement was negotiated and signed without public consultation, including that of local fishers. It only became known to them after the text of the protocol was leaked by a member of parliament. The agreement required the Chinese company to invest in local fishing infrastructure for the benefit of the small-scale fisheries.13 However, this investment never materialized. In such cases there are often concerns that fisheries access agreements are influenced by bribery—or that aid and wider investment agreements (including in other sectors of geopolitical importance, such as mining and arms) are used as leverage in fisheries negotiations. These failures of fisheries management are made more complex and difficult to counter because of the prevalence of conflicts of interest. It is not unusual to find that politically well-connected individuals (including those with roles in fisheries authorities) have direct financial interests in commercial fishing ventures, sometimes through being the local partners in joint venture companies, the license holders who charter foreign vessels to fish on their behalf, or by acting as local agents for foreign fishing companies. As this review demonstrates, there is a clear need to strengthen law enforcement efforts at both the national and international level for fisheries. This will also require expanding the applicability of civil and criminal penalties to include not just vessel owners but also the corporate structures and beneficial owners behind them. Such cases can be strengthened by considering the multiple dimensions of fisheries crimes beyond illegal fishing, such as money laundering and bribery. Yet a great deal of pressure needs to be placed on all foreign fishing nations to contribute effectively to this. 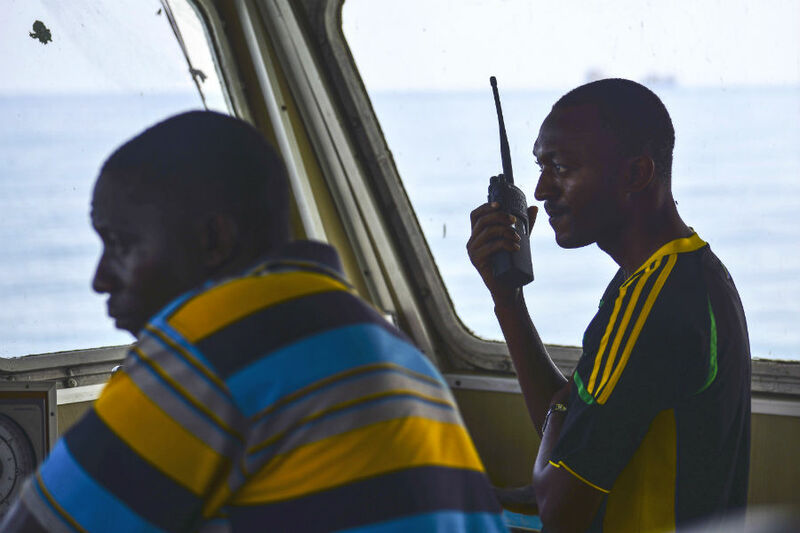 An essential step in any effort to confront and reduce illegal fishing in African waters is to substantially upgrade monitoring of foreign fishing vessels at sea and in ports. Better information is needed to mobilize political will as well as guide the allocation of limited enforcement resources. Technological advances, such as satellite monitoring or the use of drones, may help improve effectiveness in detecting some forms of crime and bring surveillance costs down. But they are unlikely to replace the need for more traditional and expensive law enforcement activities, including paying for inspectors, patrol boats, and the undertaking of complex financial investigations. Given the costs to acquire and maintain surveillance vessels, many African countries may need external security and development assistance. These resources must be accompanied by a stringent oversight and management plan, however, if they are to have a sustainable impact (see “Support the Fisheries Transparency Initiative” below). Arguably, many of these costs should be borne by foreign fishing nations and their companies, reflected in higher access fees. Similarly, the success of African governments to prosecute foreign firms for fishing illegally in their waters is limited. There have been several documented cases where vessels arrested for illegal fishing have managed to evade further prosecution through out-of-court settlements, bribery, and diplomatic pressure coming from their home governments. Nonetheless, there have been some positive cases. Liberia, for instance, enforced a ban on industrial trawling in 2011. The ban extended a zone at sea for which only local small-scale fishers could exploit. Reports suggest this is having a positive impact on the local supply of food-grade fish. True to form, several industrial vessels ignored the ban. Yet, it was impressive that the Liberian government pursued them with some vigor and raised over $2 million in fines as a result. Liberia’s experience illustrates frustrating aspects as well. EU vessels fishing for tuna formed part of the fleet ignoring the ban. In their defense, they claimed they had been issued forged licenses by a member of the Liberian government. With EU pressure, as a condition for Liberia’s first EU fisheries access agreement, their fines were reclassified by the Liberian government as payments for licenses, and their catch was deemed acceptable by the EU for export back home. Given the central role played by international fishing firms in illegal, unreported, and unregulated (IUU) fishing in Africa, addressing this problem will require cooperation at the international level. Over the past decade, several initiatives have been launched to assist governments in detecting illegal fishing offenders and increasing the severity of penalties. There is now a growing role played in investigating illegal fishing instances in Africa by organizations such as Interpol, the United Nations Office on Drugs and Crime, as well as several international nongovernmental organizations. Meanwhile, the Food and Agricultural Organization of the United Nations has dedicated a great deal of time establishing an international plan of action against IUU fishing, which has led to binding international agreements for improved monitoring and law enforcement. Some RFMOs have also developed lists of known offenders, and member states of these organizations are expected to deny these vessels licenses. The EU, Africa’s largest fishing trading partner, has also launched a system, under its Regulation No. 1005/2008 (the IUU Regulation), for both exporting and importing countries to verify the legality of catches that enter the EU. This regulation imposes warnings and eventually temporary trade bans for countries that fail to demonstrate that illegal fishing in their national waters is being addressed. To be effective, however, the IUU Regulation must be applied consistently including against major exporting countries, such as China. The lists of known offenders compiled by RFMOs tend to be much smaller than would be expected given the reports of abuse. A weakness is that the process of adding vessels to these lists requires the support of governments (including the home and/or flag state of the fishing vessel in question). Moreover, if a vessel found guilty of illegal fishing has paid a fine, then it is exempt. The Indian Ocean Tuna Commission, despite having over 6,000 registered vessels, has black-listed only 54. A key issue in the lackluster response to illegal fishing is the feeble role of fishing nations in actively investigating and auditing their fishing firms in Africa, although as the flag state, they have this responsibility according to international fisheries laws. In fact, while vessels and crew are sometimes arrested, beneficial owners of fishing firms are rarely put at risk of criminal trials, either in African countries or back home. One example, in Spain, involved an in-depth investigation into the fishing activities of several privately-owned multinational fishing companies in 2016. Through its investigative work, the Spanish Ministry of Agriculture and Fisheries, Food and Environment successfully imposed administrative penalties and fines on a group of Spanish citizens for illegal fishing in the Antarctic, including a fine of over €17 million (more than $19 million). However, efforts to have the company owners criminally prosecuted were rejected by the Spanish Supreme Court on the basis that the alleged crimes were committed on the high seas, where the activities are not recognized as a crime by Spain. Nonetheless, the efforts by the Spanish government are encouraging and stand in strong contrast to the efforts of other fishing nations, such as China, Russia, Japan, and other EU member states. Importantly, Interpol is playing an increasingly central role in facilitating transnational criminal investigations of fishing companies. 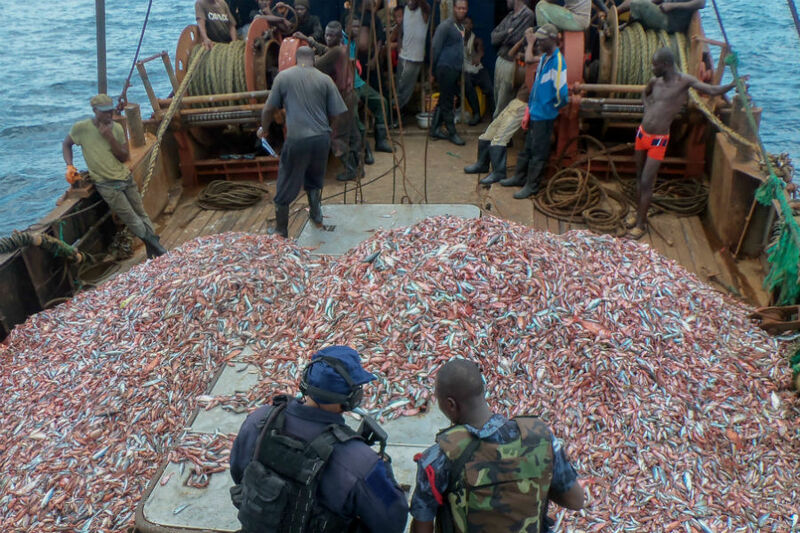 While strengthened enforcement is vital to reversing the trends of IUU fishing in Africa, if estimates of widespread criminality and corruption are credible, then arresting or banning individual offenders may prove insufficient. In fact, a focus on individual offenders risks obscuring the nature of the problem, including that a lot of damaging and unethical behaviors in the sector ostensibly remain legal and, therefore, outside the reach of traditional law enforcement. The answer to unethical and unsustainable fishing, therefore, needs to go beyond law enforcement. The stark reality is that crime and unethical activities have emerged as an outcome of the structural crisis in industrial fisheries. Its roots lie partly in the reckless use of subsidies by fishing nations. Frustratingly, global efforts to phase out capacity-enhancing subsidies in fisheries, including through the World Trade Organization (WTO), have been drawn out and ineffective, and thought to be blocked by several fishing nations including Japan, Taiwan, and South Korea, as well as the EU. Revitalising WTO discussions on fisheries subsidies reform is under negotiation. However, it is not clear that any new agreement would be stronger than what exists presently. Exploring alternative measures to discipline fisheries subsidizers, including bilaterally between fish trading partners, has been advocated as an alternative given the growing frustration with the lack of progress at the multilateral level. In addition to subsidies, the fisheries sector receives speculative private investments that support the intensification of fishing in parts of the world that are already heavily exploited. The case of Credit Suisse and VTB raising $850 million for EMATUM is perhaps the most vivid example.17 However, there are other cases. In 2011, the U.S.-based Carlyle Group invested $190 million in China Fishery, a subsidiary of the world’s largest fishing company, Pacific Andes, to help expand its fishing operations for small pelagics, including in parts of West and Southern Africa. The design of fisheries access agreements is where African countries may have the best opportunity to create an environment that is favorable to more sustainable and lawful fishing. Yet, too often fisheries access agreements are guided by the immediate expansion of license fees or resource rents, which, combined with lack of transparency, fosters an environment conducive to irresponsible behaviors by both governments and companies. In 2014, African fisheries ministers produced, through the auspices of the AU, a comprehensive Policy Framework and Reform Strategy for Fisheries and Aquaculture in Africa, which included a strong commitment to improve public access to information and accountability. Unfortunately, it lacks extensive details on implementation and deadlines. In the past few years, several United Nations-led initiatives have elaborated a human rights approach in fisheries. This approach emphasizes strengthening political and civil rights for addressing corruption and weak governance, as well as reiterating the importance of participation by small-scale fishers in fisheries management decisions. The World Bank, the largest single donor to Africa’s fisheries sector, is also increasingly designing its lending to African coastal countries to include a participatory governance component, including improving transparency, fisheries management planning, and improved participation in decision-making processes for small-scale fishers. Several large regional projects intended to improve fisheries governance in this way are now being financed and managed by the World Bank, such as the West Africa Regional Fisheries Program and the South West Indian Ocean Fisheries Governance and Shared Growth Project. These are all positive developments as they target the conflicts of interest of politically well-connected individuals that often undermine oversight and regulatory control of African fisheries. To be effective, these initiatives must be coupled with domestic pressures for increased transparency in Africa’s fishing ministries so as to improve decision making in fisheries management. Specific actions would entail requiring that all fisheries access agreements are made public and to institutionalize civil society oversight boards of fisheries ministries as a means to enhance transparency as well as to ensure that the interests of small-scale fishers and citizens are represented. The World Bank and the African Development Bank, among many others, are also developing the Fisheries Transparency Initiative (FiTI). Although a global initiative, several African countries are among the first to show a commitment to implementing FiTI, including Mauritania and the Seychelles. The FiTI attempts to bring together governments, representatives of the fishing industry, and civil society to publish and verify comprehensive data on the fisheries sector. This includes the terms of access agreements, details of payments by vessels and foreign investors, information on new investments and subsidies, as well as unprecedented levels of data on catches. It is hoped that FiTI can provide credible data that will feed into improved national discussions on fisheries management and access agreements. Media and civil society access to this information will be essential to facilitate broader public engagement on these issues and steer African fisheries regulations away from the special interests that have long dominated. The quest for improved governance of access agreements again requires the commitment of foreign fishing nations. In Africa, the EU has made the strongest efforts. Its access agreements with African countries remain the only ones that are made public. The EU is also gradually allowing for more participation in the negotiation process, including with representatives from local small-scale fisheries. The EU is concluding a new regulation that complements its work against IUU fishing, which will require all European companies to obtain authorization from the EU to fish in a third country’s waters. The intention is to deny authorization to vessels that have been engaged in illegal fishing and vessels targeting already overfished stocks. Unfortunately, the regulation does not extend to those EU vessels that have reflagged to non-EU countries. Nonetheless, the EU model is worth emulating elsewhere. In sum, the solution to unethical and unsustainable foreign fishing in Africa must be based on reforms at multiple levels. Strengthening law enforcement capacity must be combined with enduring political reforms to have lasting effectiveness. One without the other is unlikely to succeed. ⇑ Pierre Failler, “Climate Variability and Food Security in Africa: The Case of Small Pelagic Fish in West Africa,” Journal of Fisheries & Livestock Production 2, no. 2 (2014), 122. ⇑ U. Rashid Sumaila, et al., “Global fisheries subsidies: An updated estimate,” Marine Policy 69 (2016), 189–193. ⇑ Tabitha Grace Mallory, “Fisheries subsidies in China: Quantitative and qualitative assessment of policy coherence and effectiveness,” Marine Policy 68 (2016), 74–82. ⇑ Frédéric Le Manach, et al., “Reconstruction of total marine fisheries catches for Madagascar (1950–2008),” in “Fisheries catch reconstructions: Islands, Part II,” eds. Sarah Harper and Dirk Zeller, Fisheries Centre Research Reports 19, no. 4 (Vancouver: UBC Fisheries Centre, 2011), 21–37. ⇑ Ian Urbina, “‘Sea Slaves’: The Human Misery that Feeds Pets and Livestock,” The New York Times, July 27, 2015. ⇑ “Review of Impacts of Illegal, Unreported and Unregulated Fishing on Developing Countries,” Marine Resources Assessment Group (July 2005). ⇑ “Towards the Quantification of Illegal, Unreported and Unregulated (IUU) Fishing in the Pacific Islands Region,” MRAG Asia Pacific (February 2016). ⇑ “Africa’s Fisheries’ Paradise at a Crossroads: Investigating Chinese Companies’ Illegal Fishing Practices in West Africa,” Greenpeace East Asia and Greenpeace Africa (May 2015). ⇑ “Fisheries Management in the CECAF region: Status of the elaboration and implementation of fisheries management plans and uptake of CECAF management recommendations by members,” document CECAF/XXI/2016/4 submitted at the Twenty-First Session of the Fishery Committee for the Eastern Central Atlantic (CECAF), Dakar, Senegal, April 20–22, 2016. ⇑ Dyhia Belhabib and Daniel Pauly, “Fisheries in troubled waters: A catch reconstruction for Guinea-Bissau, 1950–2010,” in “Fisheries catch reconstructions: West Africa, Part II,” eds. Dyhia Belhabib and Daniel Pauly, Fisheries Centre Research Reports 23, no. 3 (Vancouver: UBC Fisheries Centre, 2015), 1–16. ⇑ Sarika Cullis-Suzuki and Daniel Pauly, “Failing the high seas: A global evaluation of regional fisheries management organizations,” Marine Policy 34 (2010), 1036–1042. ⇑ “Out of line: The failure of the global tuna longline fisheries,” Greenpeace (November 2013). ⇑ Dr. Ahmed Mahmoud Cherif, “La Convention Poly-Hondone Fishery—Mauritanie: Analyse des Impacts Economiques, Sociaux, Environnementaux,” Pêchecops (July 2011). ⇑ “The plunder of a nation’s birthright: The fishing license scandal: a drama in five acts,” Greenpeace Africa (March 2012). ⇑ Lars Buur, Obede Baloi, and Carlota Mondlane Tembe, “Mozambique Synthesis Analysis: Between Pockets of Efficiency and Elite Capture,” DIIS Working Paper No. 01 (Copenhagen: Danish Institute for International Studies, 2012). ⇑ “A tuna scandal strikes: A flagship investment in Mozambique is starting to stink,” The Economist, August 7, 2015. ⇑ Frances Coppola, “Mozambique Is About To Default On Its ‘Tuna Bond,’” Forbes, January 17, 2017. Dr. André Standing is an advisor at the Coalition for Fair Fisheries Arrangements.